To view or download the lift inspection guide Click Here. 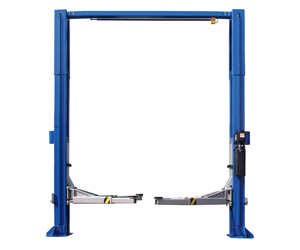 NEW optional 2’ column height auto lift extensions accommodate higher profile vehicles. 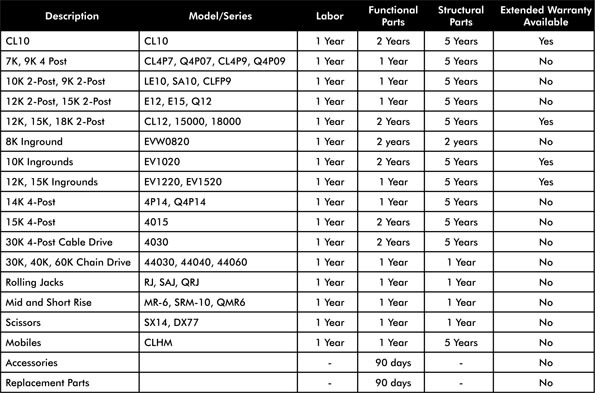 Must order both our LE10 2 post car lift and Part # LE10EH2 for new car lift purchase or LE10EH2 for addition of 2’ height extension to an existing LE10 car lift. Includes (2) height extensions, hose extension kit and new cables. With double telescoping screw pads, durable powder coat finish, plated arm restraints and pins and many other appealing features, the LE10 two post lift will accommodate the rigorous demands of a full service facility – and afford room to grow with its competitive price. Available in red and blue only. 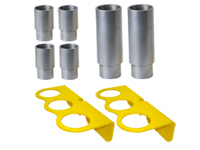 Stack Adapter Kit for 10,000 and 12,000 lb. 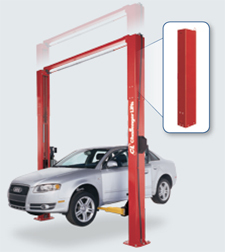 two post and inground car and truck lifts. Drop-in style stack adapters help reach pickup points on vehicles with running boards or side steps. Simply take out the screw pad, drop in the stack adapter extension and replace screw pad to reach lifting points. Stack Adapter Extension Kit includes four 3" Stack Extensions, two 6" Stack Extensions & two Organizer Racks with hardware. Organizer racks mount to automotive lift column to keep adapters within reach. 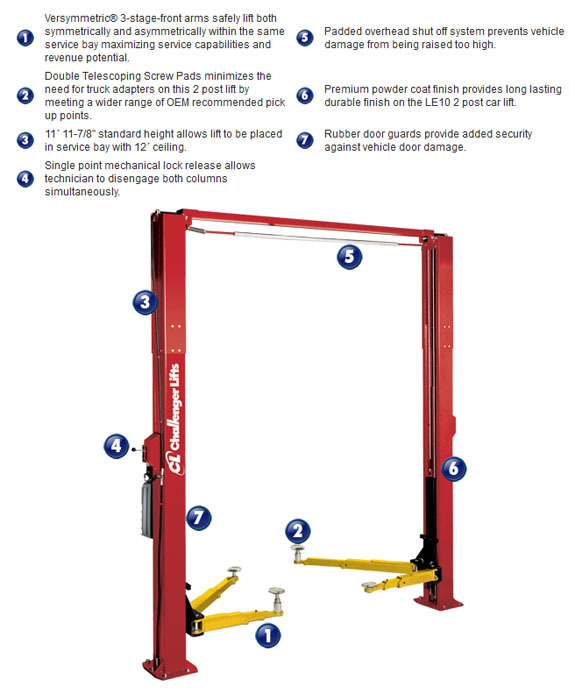 Works with all Challenger two post automotive lifts. *Lift capacity ratings are based on loads equally distributed on all four arms. **Specifications are for Lift Model E10 with optional accessory E10EH2 column height extensions (Must order E10 and E10EH2 for new lift purchase or E10EH2 for addition of 2´ height extension to an existing lift). Rise Height is measured with telescoping screw pads in highest position. Specifications are listed without rubber pad, for measurements with rubber pad add 1/4" (6mm). Ceiling Height requirement may exceed 12' if column shimming is necessary.